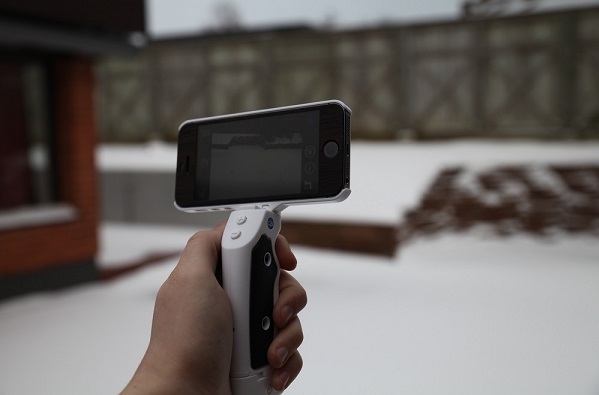 The Grip&Shoot is a very interesting iPhone accessory. 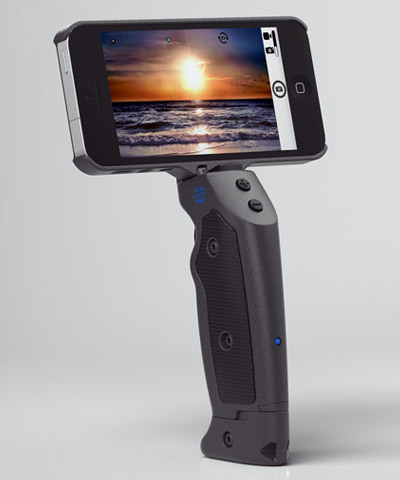 It allows you to take pictures and record video using what looks and feels like a gun grip. The grip itself is controlled via Bluetooth and can be used up to 100ft away from the phone. Which also makes it a great remote shutter. You attach your phone to the grip with a plastic case that has a special connector on it. The Grip&Shoot comes with a 3V, 2032 Coin Cell Battery which will last for up to 10000 clicks without needing replacement. Installation was ridiculously easy, just download the Grip&Shoot app, activate Bluetooth and start the app. Click the trigger on the smartgrip and the phone immediately finds the Grip&Shoot. And that’s it, ready to go. The case is also really easy to remove. Everyone knows videos shot with your phone can be very shaky, the Grip&Shoot overcomes this surprisingly well. The Grip&Shoot fits very well in your hand. With a steady grip there is little to no shakes in videos shot. And photos taken are also improved, but the effect is most noticeable when filming. The bottom part of the grip can be removed and attached to the case to be used as a stand. So you can set down your phone and trigger it from a distance. You can also attach it to any standard tripod, which is a great bonus. Besides the trigger button there are two buttons on the front + and -, you can use these buttons to zoom in. Grip&Shoot also comes in black. Also Grip&Shoot are currently looking for app developers to help turn the Grip&Shoot into a mobile gaming accessory, or anything else you can imagine. I can definitely see how this could be a cool gaming accessory. The GRIP&SHOOT™ System was designed with an open API so other app writers may utilize all the features of the Bluetooth Smart Grip. Developers can write iOS or Android apps that can be controlled by the GRIP&SHOOT™ System by filling out and submitting the form below. Once we approve you, we will send you a link and a key to log into our Developer Website. Not Just for Camera Apps! The GRIP&SHOOT™ system was designed to capture photos and videos, but can be used for so much more. Just imagine playing a first person shooter with the realistic feel of the GRIP&SHOOT™ system! If you think your app would work well with the Grip&Shoot, there’s a contact form here. The Grip&Shoot is great accessory and a lot of fun. I’m very happy with it! 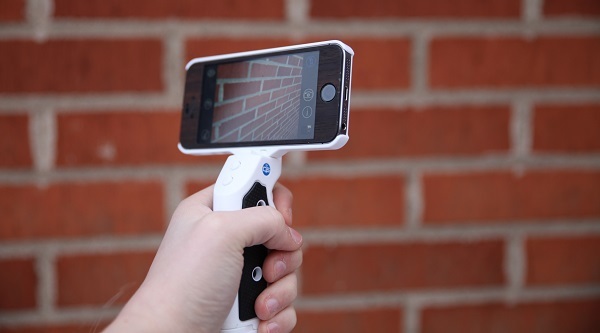 The Grip&Shoot is $99 and you can get one of your own here!